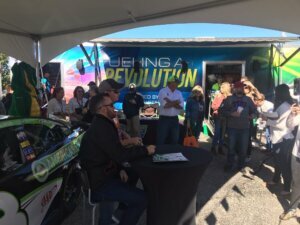 The Minnesota Corn Growers Association joined colleagues from the Texas Corn Producers to promote the benefits of ethanol and the work of the nation’s corn farmers at the NASCAR Texas 500 over the weekend. NASCAR fans took pictures with Maizey before Sunday’s race. 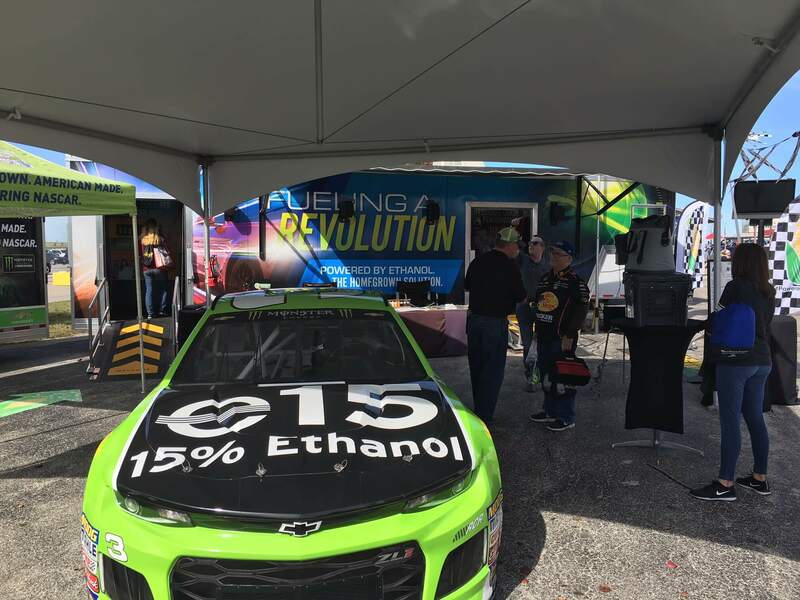 With support from American Ethanol, the annual event has been a long-standing opportunity to raise awareness of ethanol-blended fuels and the importance of corn farming with thousands of fans at Texas Motor Speedway. 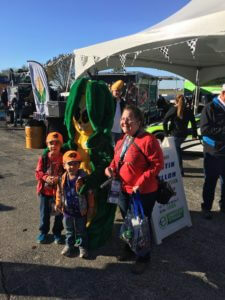 Volunteers and staff from each organization met with NASCAR fans outside the race track at a large booth, which featured kid-friendly games, corn facts, interactive trivia and more—all aimed at promoting the nation’s corn farmers and the clean air benefits of ethanol-blended fuels. MCGA staff and Minnesota Corn Research & Promotion Council member Chad Willis, along with his family, traveled to Dallas to help ensure the event’s success. Fans lined up to meet Austin Dillon. A highlight at the booth for passersby was a replica of the stock car driven by NASCAR’s Austin Dillon, who also stopped by the booth on Sunday to sign autographs for fans. Dillon has been a longtime supporter of American Ethanol. Volunteers and staff also met with race fans at each campground around the track to discuss the benefits of ethanol-blended fuels while handing out promotional items, including replicas of the American Ethanol-branded starter flag used to start the race on Sunday. MCGA and its grower leaders have long supported the event and its work to eliminate myths about food, fuel and feed. More than 150,000 race fans attend the three-day event each year.